A New Kind of Supernatural Mystery! Some say the dead don’t talk, but Luc knows better. He can’t get Alarbus to shut up. Luc finds himself in a world steeped in spirits, demons, and murders. The police are finding bodies, but are unconvinced there’s a connection. 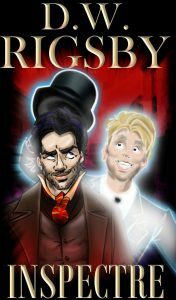 It’s up to Luc, and his ghostly friend, Alarbus to work together and find the culprit. Understanding the motive is crucial, and a young child who survived a brutal attack might hold the key. Will Luc and Alarbus end these tragic deaths? Or will they succumb to greater forces in the spiritual realm? Join Luc and Alarbus today!